In the last fifteen posts and Videos we looked at HTML. In the next fifteen we’ll look at CSS . 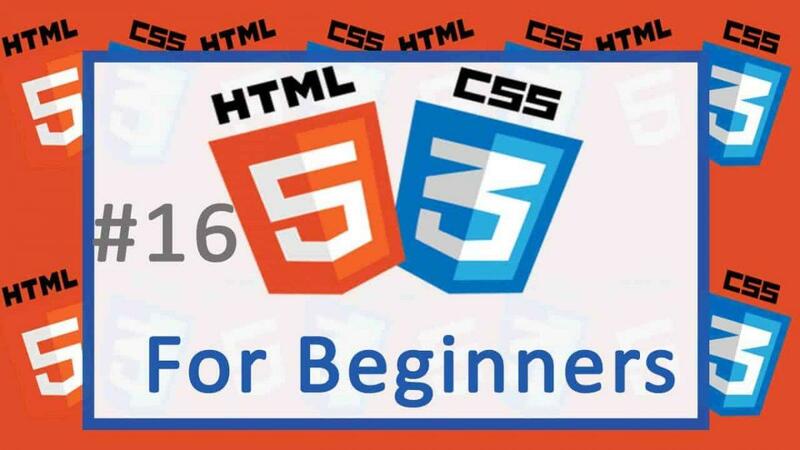 If you want to learn more about HTML, check out this HTML/CSS tutorial . Position elements on the page. You may use it to arrange your divs or other content the way you like. Color items on the page. Use it to provide different colors for Text, Backgrounds, Links and so on. Provide different Sizes for elements on the page. You may decide to give Texts, Headings, Links , Paragraphs , images specific sizes. This can be achieved using CSS. The creation of CSS was a big deal because using HTML to structure the page as well as to handle presentation of the Web Page was a tedious job. Most of the HTML tags and attributes which were then used for presentation have since been deprecated. The only job of CSS should be to handle the appearance of your Website. You can see how this is a good thing for separation of concerns. In Computer Science, separation of concern is the idea that, every part of a program should only handle what it should. That is to say everything should only handle one thing without mixing things up. For instance if some module/class is handling data, let it only deal with data. And you should not use the same module/ class to present that data to the user. Let some other class handle the presentation of data. With that in mind, you can see that this is enforced whenever you build a new website or a new web page. You will always write your HTML and then write your CSS to handle the appearance of your Web Page. And they will usually be on different files. We’ll look at this in great detail in the next post, but let us just brush over it a little bit. In this case, you will write all your CSS in another file. Store that file with [dot]css extension eg mystyles.css . You will learn all about the css used above in due time. Inline CSS refers to that which is used directly on the HTML tags. We’ll learn more about these in the next section.